Anyone who manages people hopes that employees follow policy, accomplish goals and get along with co-workers. 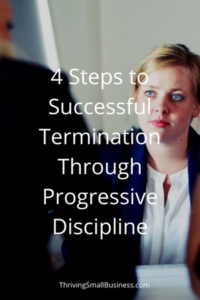 Unfortunately, there are times when that does not happen and managers are forced to correct and discipline employees. 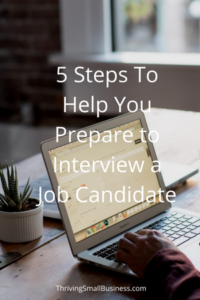 Anyone who has ever interviewed a job candidate understands that it can be a daunting task. Knowing the right questions to ask is critical to identifying the right fit for your organization. Hiring a new employee can be an exciting yet stressful time for a small business owner. The reason being – no one wants to make the costly mistake of hiring the wrong person. Any of us who have been around for a while understand that the work place is changing. Employees are changing and with this change comes a necessity for organizations to change how they practice and manage employees. 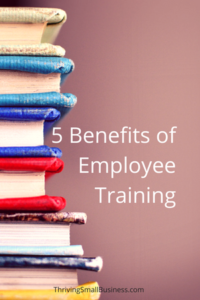 Employee training is something that many organizations struggle with. There are issues with adequate resources for curriculum development, facilitating the training and the down time associated with pulling employees out of their job for a period of time to learn new skills. When employees are new to a job, the organization should do everything it can to make the employee’s transition as smooth as possible. A new employee orientation checklist can help! More and more organizations are offering employees the option to telecommute – at least occasionally. This number has inched up the past several years. Employees go to work with the intention of doing a good job. However, the challenges of life can take its toll on even the best employees. Successful organizations understand the importance of developing employees who are engaged and share a common goal. They recognize that engaged employees put their heart and soul into their job and have the energy and excitement to give more than is required of them. We’ve all heard the term ‘mentor’ but we need to acknowledge the importance of mentoring for professional development. Mentoring has been around for a long time, specifically in academic environments where teaching is a part of the business model. So what is a mentor? Every business owner understands that customers pay the bills. And, to keep those customers coming back they need to provide a great service experience. However, many organizations don’t pay as much attention to those people who care for their customers – the employees.